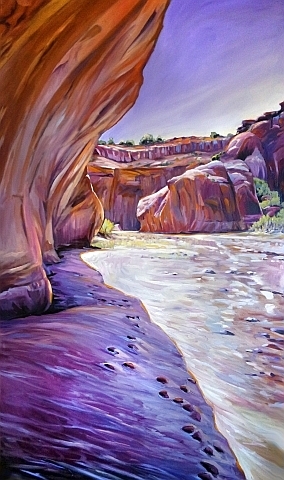 In my paintings like Sunrising Grand Canyon ..... 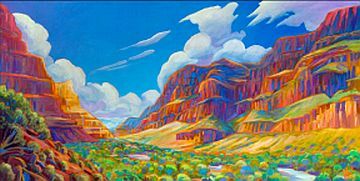 I want to show the power of these huge walls that can surround us and make us feel so small. 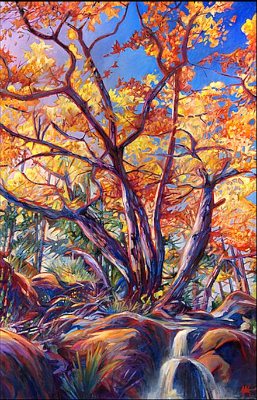 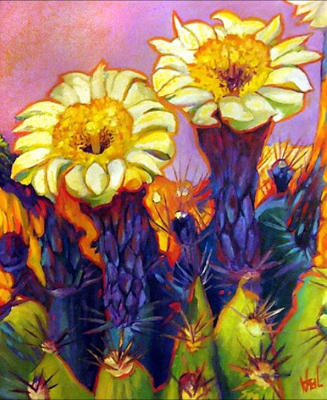 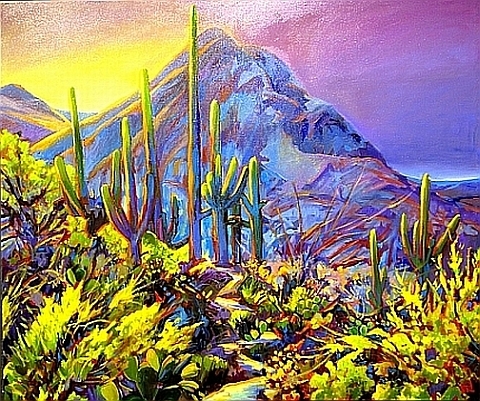 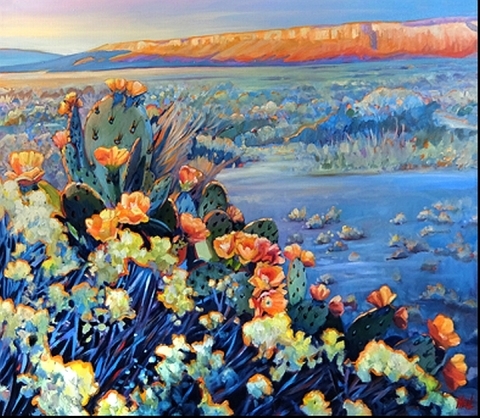 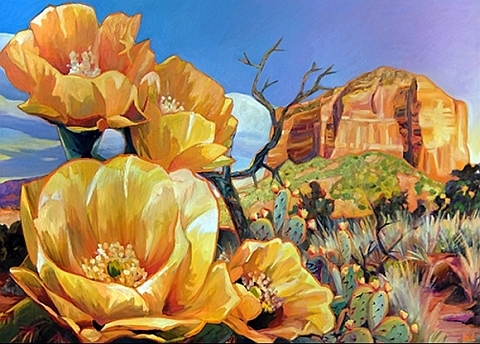 And the idea behind paintings such as Vibrant Arizona I and Arizona II is to show the vibrations of color which life creates for it's own survival. 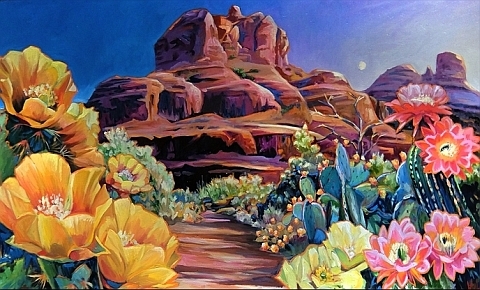 New life which springs into desert landscapes after spring rains is vibrant color coming from dust - is the spirit of the desert revealed.